Long a Republican stronghold, the Gem State just doesn’t have much patience for those organic tofu-munching, free-sexing, tree-hugging, freedom-hating progressives. This is Idaho: Love it or leave it. Out of hundreds of suggestions for how Democrats might try to survive within the conservative state, all three of the most popular recommendations focused on the alternative. “Move to Washington,” came in second. Basically, go pretty much anywhere else. Many voters offered more specific suggestions like Spokane or Seattle. Others recommended going farther, maybe Portland, or California. A few optimistic souls called for Democrats to hang in there and stick to their beliefs. Stay strong, they urged. Be patient and work toward compromise. Others listed plenty of Demo-don’ts: Don’t make eye contact, don’t talk, don’t piss off the rednecks, don’t mess with the Second Amendment. At least the booze is still cheap, they note. Maybe struggling Democrats should work toward a sort of libertarian cause like legalizing marijuana. Or just get back to nature. Poplawski, 44, has a sparkling vivacity. Opposing lawyers might call it feistiness. Whatever term you use, it’s an energy that has sustained her personally and professionally. She became a single mother at the age of 22, and in her small hometown (pop. 2,700), women held to traditional standards. Choosing to remain unmarried, attending college with her toddler in her arms, or moving across America to enter law school at Gonzaga weren’t considered viable options. The experience helped shape her worldview. Poplawski, who specializes in employment and family law, makes no secret of her antipathy toward retrograde attitudes or complacency inside and outside the courtroom. In her smart black outfit and leopard-print heels, she presents a distinct persona — chic, businesslike, but with a provocative flair. Her clients can tell at a glance that’s she’s not unused to challenges, and she won’t hesitate to rise to them. In 2009, Poplawski met one daunting challenge head-on and took it to the Washington State Supreme Court. A protracted custody battle had returned a young Spokane woman’s son to his former foster parents in Montana. That decision had been reached despite the fact that his natural mother had been deemed fit. Adding insult to injury, she was forced to pay child support to the foster parents. Poplawski worked diligently to overturn the ruling, ultimately reuniting mother and son in a verdict that had wider implications. Firefighters have one very obvious job. They put out fires. The reality is that they do quite a bit more, both on and off the job. In recognition of that fact, Inlander readers voted firefighters the Best Unsung Heroes of 2013. The access that firefighters are given to citizens’ homes and personal lives is a responsibility that they take seriously, he says. That’s why many firefighters are compelled to help, even when they aren’t working. Waller says that many members of the force have, on their own time, organized fundraisers and other charity events. This is all done out of a sense of civic pride and responsibility. Still, the recognition is nice. Knowing that they’re appreciated is an honor, he says. “I don’t think a lot of people realize not only what we do on a day-to-day basis on our job, but how involved we are in the community, and how important we feel community is to us,” Waller says. Despite Best Of voters’ choices over the years, there’s no debating who really is the Best Athlete on this list — JOHN STOCKTON. He’s an Olympic champion (twice), he played an Ironman-like 19 NBA seasons (resulting in tons of records and a Hall of Fame membership) and always showed a work ethic every kid should emulate. Our voters have loved him, too, from that very first 1994 ballot. This year, he was voted Best Celebrity. What Stockton doesn’t have yet is a local statue in his honor. Now of course he would never want one — he’s low-key that way — but this is civic malpractice, people! And back in 2000, we asked: Best Local Subject for a New Statue in Spokane. Resounding answer: John Stockton. C’mon, Mayor Condon, Salt Lake City has one. Make it happen! Of course Stockton brought his family back home from Utah after he retired; you can see him watching his son David play in the Kennel or coaching his daughters. Back in the day, Stockton, Mark Rypien and Ryne Sandberg so dominated this line of questioning that in 1999 we finally asked you to name the Best Local Athlete Not Named Stockton, Rypien or Sandberg. You gave us JAN-MICHAEL GAMBILL, the former tennis pro and Mead grad who made the Wimbledon quarterfinals in 2000. Gambill is retired from the pro circuit and now lives in Hawaii, does a little coaching and plays some exhibition tennis for charity. It’s great to have fellow Mead grad ADAM MORRISON back on the scene. He had a best-ever three-year run as Best Athlete. Morrison is back in the ’Kan and worked out with current Zags over the summer; he’s been spotted back in the Kennel, too. 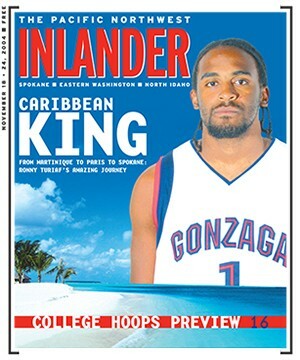 But you’ve got to say the basketball gods are smiling on 2005 winner RONNY TURIAF. It didn’t look good at first: Drafted by the Los Angeles Lakers that spring, the team discovered he had a major heart problem. One successful open-heart surgery later, and Turiaf was off to a busy NBA career. (He’s already played for six teams.) Last year, he won an NBA ring playing alongside LeBron James and Dwyane Wade for Miami. This year he’s setting screens for Chris Paul and Blake Griffin on the high-flying Los Angeles Clippers. One of the most loved Zags ever, Turiaf takes life easy, but he’s for real — he’s played in the Olympics for France, speaks, like, five languages and even founded the Ronny Turiaf Heart to Heart Foundation. They say that good things happen to good people. Back when The Inlander first started asking your opinion about elected officials, it was all about TOM FOLEY. It makes sense: As Speaker of the House, he had risen higher than any Washington state politician ever. The readers liked him so much, they even chose him Best the year after he was sent packing. Now 84, Foley still lives in the D.C. area; he was recently featured on a TV ad for Gonzaga University, where he went to college and taught in the School of Law. The first really big controversy of the Inlander era was the River Park Square public financing battle, and STEVE EUGSTER was the lightning rod for it all, good and bad. 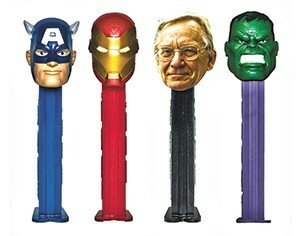 In 1996, readers voted him Best Activist; in 2000, once he was a city councilman, he was voted both Best Person to Be Immortalized on a Pez Dispenser and Best Candidate for Strong Mayor. Eugster has been back in private practice since 2010, and also manages some downtown property he owns with his brothers. In recent years, this category has become more of a “Who’s-the-mayor-this-year?” kind of thing, which is odd as we like to fire them first chance we get. And that thought brought us back to the first strong mayor, JOHN POWERS, who won three Best Ofs in a row between 2001-03. 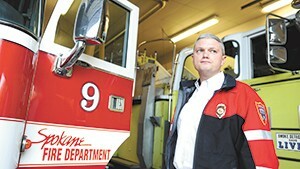 We caught up with Powers at his new job as executive director of the Kitsap Economic Development Alliance in Bremerton. “Whenever I tell someone what I do, I say ‘I’m an economic developer, and I caught the bug while I was serving as mayor of Spokane,’ ” says Powers, who was hired as CEO of the Economic Development Council of Seattle and King County just after losing his re-election campaign. “One thing I am still proud of,” Powers adds, “is that on that same primary ballot was a measure to repeal the strong mayor system; unions wanted to get rid of it. 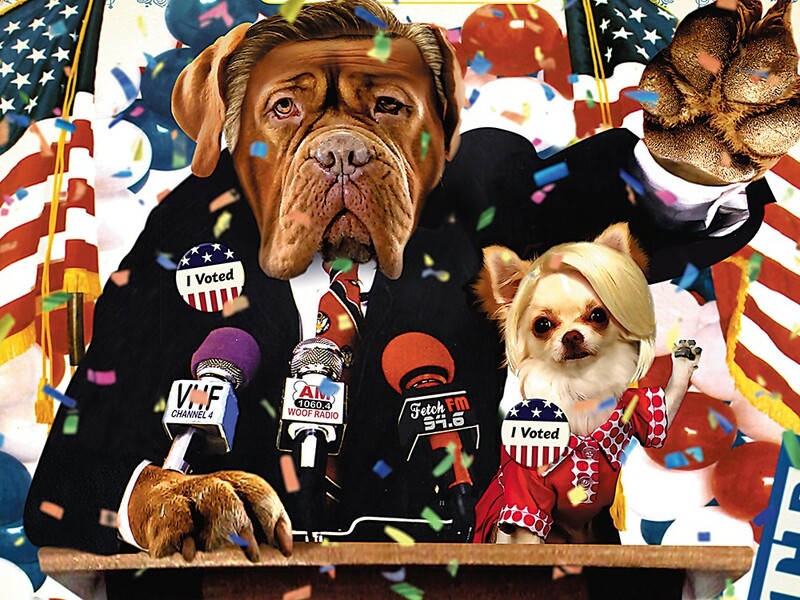 But the people of Spokane stayed the course with strong mayor — that was really the most important election that year.